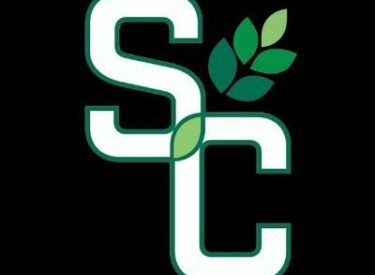 Tuition and fees will increase slightly at Seward County Community College, but housing fees remain steady, following the SCCC Board of Trustees regular meeting Monday. Tuition per credit hour for Seward County residents will increase from $94 to $99, in-state tuition from $95 to $100, and border state tuition from $117 to $122. These rates allow SCCC’s tuition/fee structure to remain among the lowest of area colleges. Dustin Ormiston moved to accept the new rates, allocating the entire fee increase to cover the cost of technology, with Stacy Johnson seconding. The motion passed unanimously. Student Housing rates at SCCC will remain the same as the current academic year (see chart, attached). Room and board with a 19-meal per week plan ranges from $2,405 to $3,005 per semester, depending on the dorm selected and whether a student occupies a single or double room. While food prices are expected to increase, administration opted to hold the price in order to assist students and attract residents to the college housing options. SCCC Vice-chair Marvin Chance Jr. moved to approve renewal of the rates, with Ormiston seconding the motion. The board voted unanimously to approve. SCCC will proceed with construction of the first of two Capital Campaign construction projects, with approval of an architect’s contract and a resolution for funding. Trustees voted unanimously to secure funds to construct the Colvin Family Center for Allied Health with a resolution authorizing the offering for sale of lease purchase agreement certificates. Vice President of Finance and Operations Dennis Sander reported that following the Notice of Certificate Sale, the college received bids for the purchase of $3.65 million in Certificates of Participation. Financial consultant John Hass of Ranson Financial presented documents for approval, and outlined the schedule for payment and interest to the Security Bank of Kansas City, Kansas. Sander noted that the financing process included an evaluation from Standard & Poor, which resulted in an “A+” bond rating for SCCC. The decision to separate the Allied Health project from the Sharp Family Champions Center resulted after meetings with stakeholders and reflection on the current state of fundraising and cash on hand, administration noted. * The architect’s fee is a stipulated sum. As long as the scope of the project does not change, Architect One will not increase its fee if the budget exceeds $3,500,000.00. * Architect One agrees to reduce the fee of the Champions Center to $199,000 if within 60 days, SCCC opts to combine Architect One’s services to include both the Sharp Family Champions Center project with the Colvin Family Allied Health Center project. This option is defined within the contract for the Colvin Family Allied Health Center project (Article 12-1). * In consideration of performing architectural services for the Colvin Family Allied Health Center, the professional stipulated design fee for the Colvin Family Allied Health Center is $292,000. This fee is in agreement with the motion passed at the February Board meeting. Ormiston moved to accept the administrative recommendation, with John Engel seconding, and the board voted unanimously in favor. The board approved the introduction of two new programs of study at SCCC beginning in the fall semester of the next academic year. Known as “Stand Alone Parent Programs,” fire science and industrial maintenance programs offer a short-course entry into the workforce. “Over the past two years, industry supervisors have met with SCCC Business and Industry and Industrial Technology faculty to discuss the needs of their respective workforces,” said Vice President of Academic Affairs, Dr. Todd Carter. “Industry partners such as ONEOK, Seaboard, National Beef, Southwest Medical Center, Arkalon Ethanol, Tatro Plumbing, and others have requested that the college offer an Industrial Maintenance Program.” Easily accessible to people already working full-time jobs, the SAPP provides the opportunity to earn industry certification rather than a full degree program, while also enhancing employees’ skills in areas in which they may be deficient or lagging. One distinctive component of the program is its emphasis on accessibility for the non-traditional student. “We want to make parts of it available online through our Blendflex delivery system, and allow students to take one, or many of the courses as their schedules allow,” said Industrial Technology instructor Chris Hickman. With a motion from Ormiston and a second from Chance, the board unanimously approved the adoption of the industrial maintenance SAPP. The new fire science program also resulted from collaborative efforts in the community, Carter said. “Liberal High School has been selected to be a Mercury 7 school district which will enable them to redesign educational models and programs … and for over a year, LHS and SCCC staff and administrators have worked together to discuss the need, student interest, and ability of SCCC to provide this opportunity.” Currently, 54 junior and senior class members at LHS are interested in fire science. The creation of the program also involved input from the City of Liberal, Seward County, and the Turpin Fire Departments, which have offered use of facilities, vehicles, training materials, and internships for students to aid in the success of the proposed program. Trustees Ormiston and Engel made the motion and second to approve the Fire Science SAPP. * Accepted the annual fiscal report/audit for 2017 from Linda Billings of Byron Bird CPA. * Accepted the personnel report, which included resignations from ABE/AOK instructor Kelly Horning and Director of Safety Dennis Mulanax, along with a retirement request from Social Science Instructor Gary Damron. Open positions include instructors in diesel technology, nursing, Adult Basic Education, as well as an instructional designer, director of Respiratory Therapy Clinical Ed, Student Support Services academic and career advisor, and a wellness center assistant. * Discussed and then tabled a naming opportunity for the new softball press box and dugout repainting donated by French Construction. Administration will conduct further research about naming policy for campus facilities. * Adjusted the summer board meeting schedule in order to avoid holidays and accommodate the end of fiscal year business. June 25 and July 16 will serve as the official meetings for those months, rather than the dates originally announced. * Approved curriculum changes to the Process Technology program, streamlining repetitive material and moving the Associate of Applied Science degree closer to the Kansas Board of Regents preference that such degrees complete at around 60 hours. — Executive Director of Grant Development (formerly Executive Director of Grant Development and Alumni Engagement, a full-time position held by Charity Horinek). Removal of Alumni Engagement responsibilities). * Discussed plans for the college’s upcoming 50th Anniversary year in 2019. Starting with the first classes offered to students on Sept. 2, 1969, the college has logged five decades of positive change in the lives of individuals and the community. The anniversary observance will continue to appear on meeting agendas each month. * Approved purchase of a contract to upgrade the college’s computer systems firewall, opting for a three-year time frame in order to save around $20,000 over the year-by-year plan. * Voted to purchase a used forklift for the natural gas compression program, pending inspection by a qualified party. The purchase will ensure student safety in moving engines that can weigh up to 15,000 pounds. The low bid of $33,350 from Midwestern Equipment in Council Bluffs, Iowa, will be funded in part through a PIE Foundation donation of $10,000.